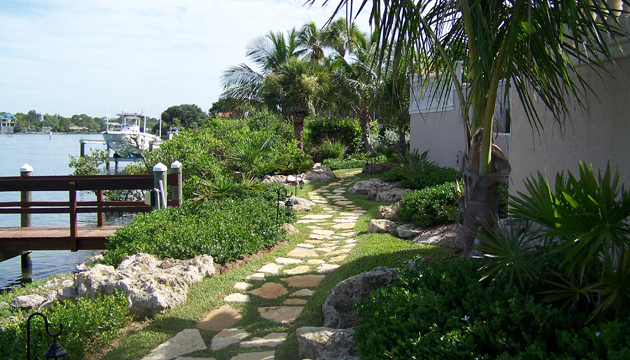 Stepping stone pathway through lush and colorful planting. 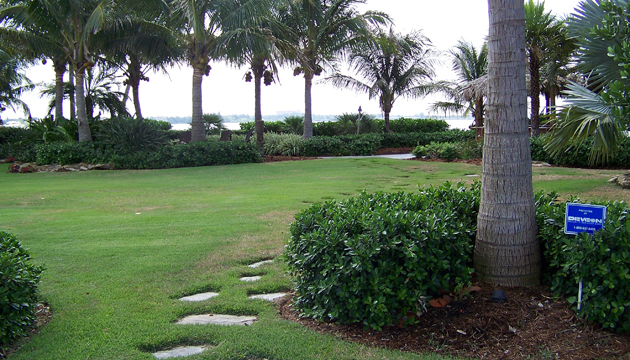 Landscape elements used to define the large space. 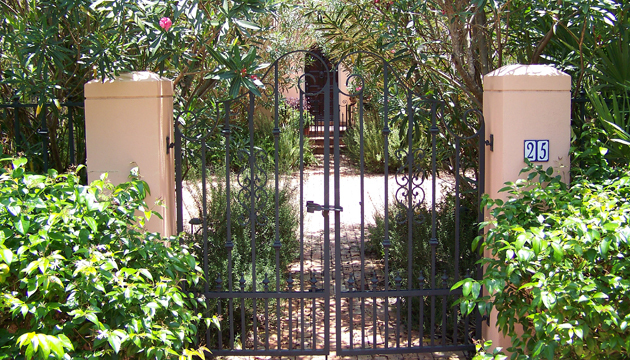 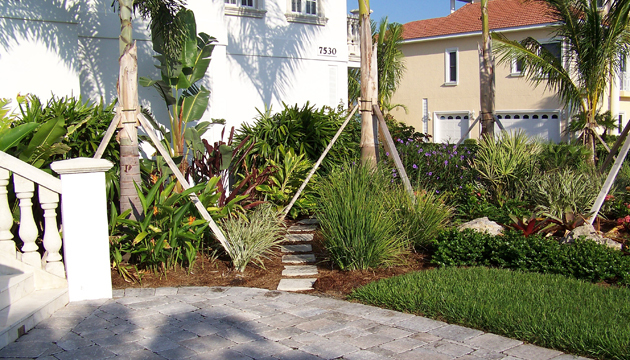 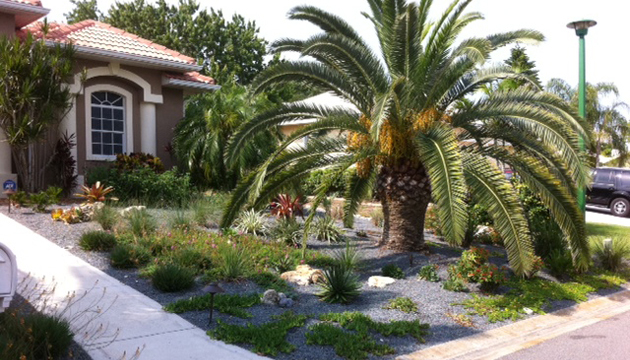 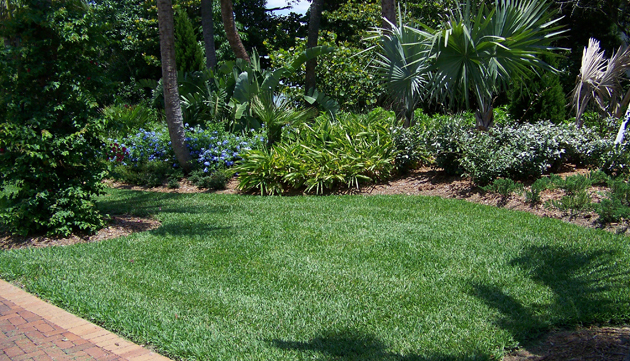 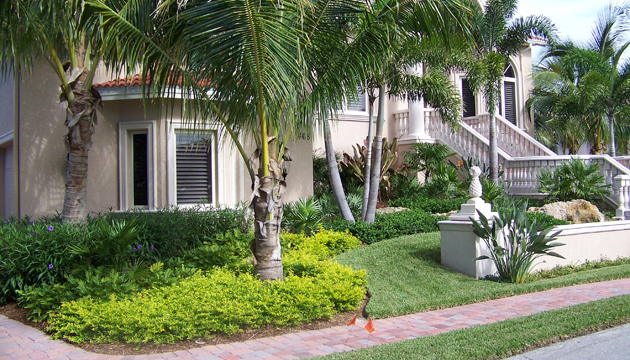 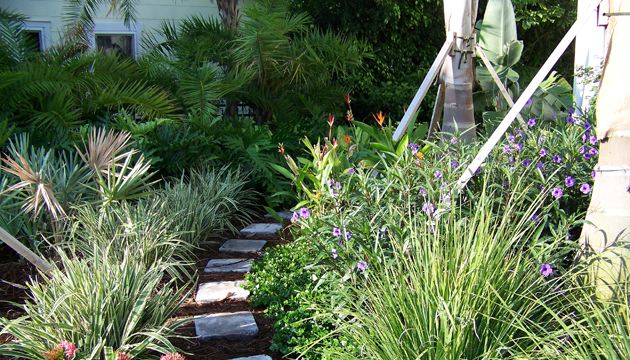 Tiered plantings add depth to the front yard. 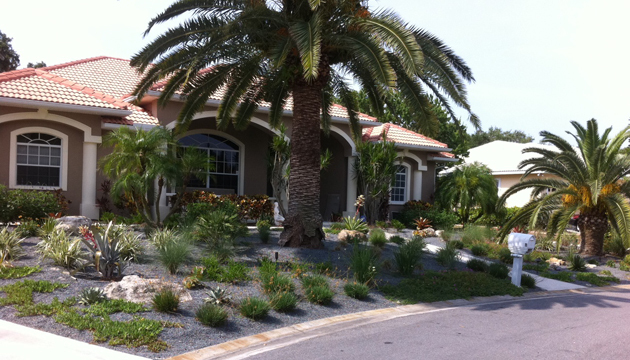 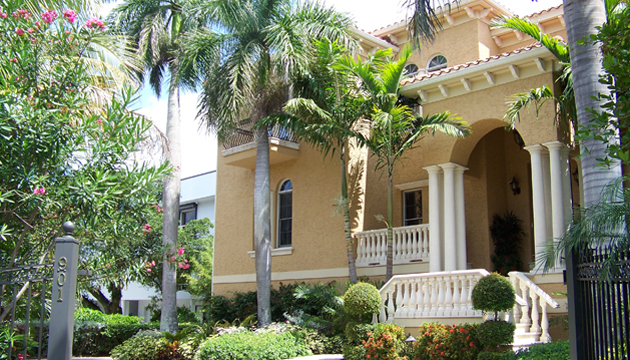 Royal Palms bring the home's elevation into scale. 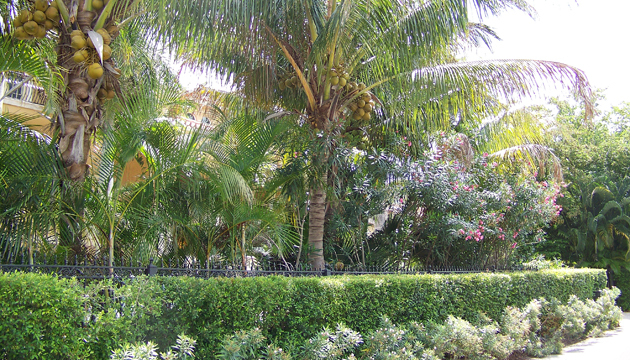 Plantings used to provide a screen. 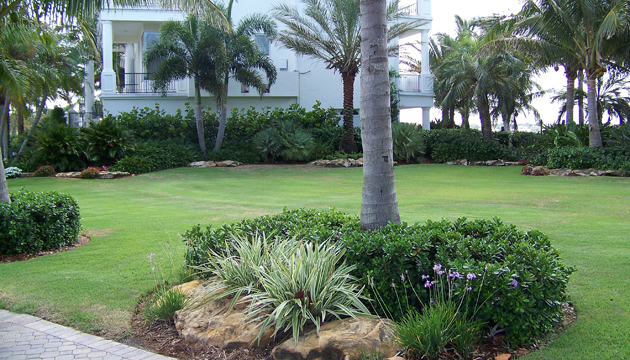 Plantings fill the garden area.